PLEASE NOTE: Due to unforeseen circumstances, this show is cancelled. Refunds are available from the point of purchase – and watch this space for details of a future date. We’re delighted to be working with the Duke Spirit’s Liela Moss! Released through Bella Union on 9 November, My Name Is Safe in Your Mouth more than lives up to Liela Moss’ promise of fresh, bold adventure. 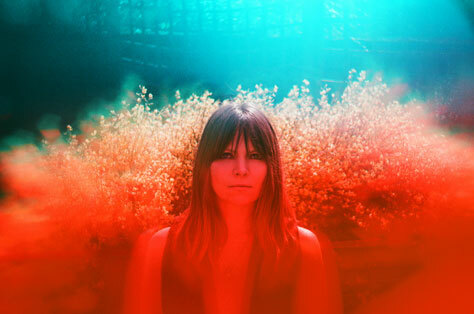 Sonically spare yet sumptuous in its emotions, elemental power and expansive melodies, the record is a richly felt, vividly realised trip into the interior from the Duke Spirit singer. Local support comes from Lindsay Munroe. Lindsay Munroe is a Manchester-based alt-folk musician who has drawn comparisons to Sharon Van Etten and early Cat Power. In the past year her tracks have become favourites with the team at BBC Introducing Manchester and she has supported folk-pop musician David Kitt on his UK tour. Her 2016 EP One Day Will Break is marked by introspective and blunt lyricism, paired with both delicate and indie rock sounds. Whilst keeping a foot in the folk tradition, Munroe maintains a commitment to exploring new sounds and experimenting with the way that folk influenced melodies can be paired with grittier guitar sounds to produce an arresting and interesting sonic landscape.